Hi, I'm Felix Basket, marketing manager at Cambro. I'll be discussing the features and benefits of the Versa non skid Camtray. Let's take a look at a key functionality of these trays--the non-skid surface. 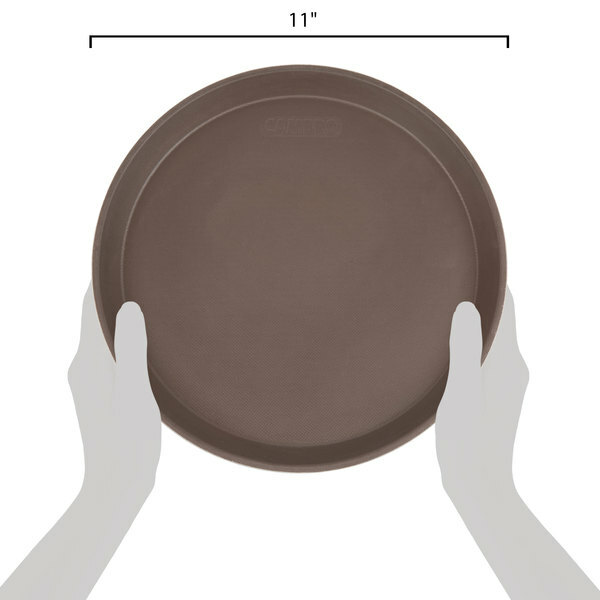 The surface of these trays provides a better grip than typical paper tray mats. A better grip means safer meal delivery. Here we have a non skid Camtray with our shoreline meal delivery items. As you can see, even with the tray top items empty, the grip of the tray is excellent. The non skid trays can withstand surface temperatures up to 210 degrees Fahrenheit or 100 degrees Celcius. This makes them safe to use in heated carts. Also, these trays are dishwasher safe in high and low temperatures. The non skid trays are available in three models and two sizes. The Versa Camtray in 14x18 and 15x20, the Versa Century Camtray in 14x18 and 15x20. 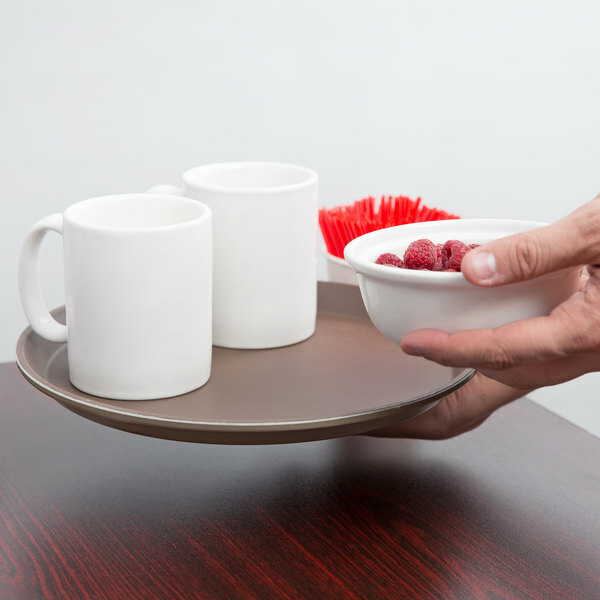 The Century Camtray has ergonomic edges, allowing for more comfortable patient dining. And Versa dietary trays in 14x18 and 15x20. Dietary trays offer larger surface area and a lower profile which increases patient comfort. Non skid Camtrays and dietary trays are offered in the following color combinations: black with pebble black surface, pearl gray with titan surface and ivory with sahara surface. Century Camtrays are available in pearl gray with titan and ivory with sahara. The colors of trays and mats coordinate with the Shoreline meal delivery system for an attractive meal presentation. With Cambro's non skid Camtrays, healthcare foodservice operators will no longer need to throw away paper tray mats, saving tons of trash every year. And just as importantly, the cost savings are substantial. Find out your cost savings and waste reduction with our personalized savings calculator at www.cambro.com/savemoney. Thanks for watching. Visit us at www.cambro.com for product updates and information. This video demonstrates all of the amazing benefits of the non-skid Camtrays and how it can save tons of trash every year with substantial cost savings! 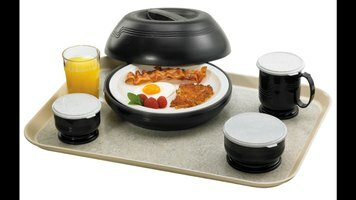 Can I use this tray in my heated cart? This tray is not recommended for heated carts. 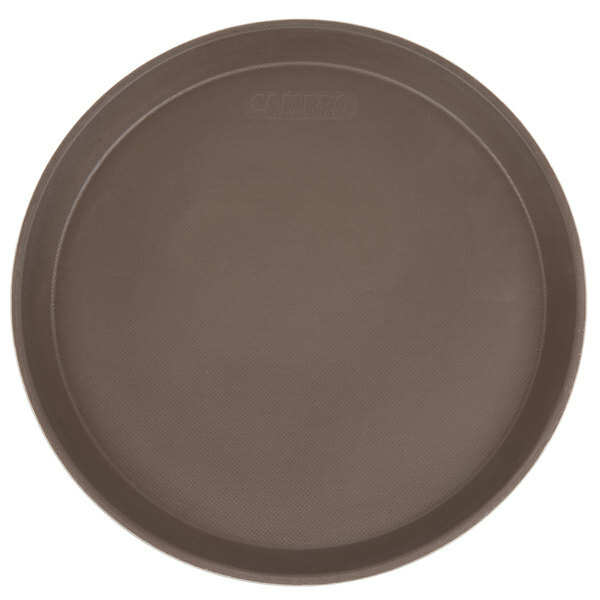 Keep drinks and meals in place during transport with this Cambro 1100CT138 Camtread® 11" round tavern tan non-skid serving tray. Its features a sturdy, functional design, complete with a durable fiberglass construction to handle heavy weight loads. 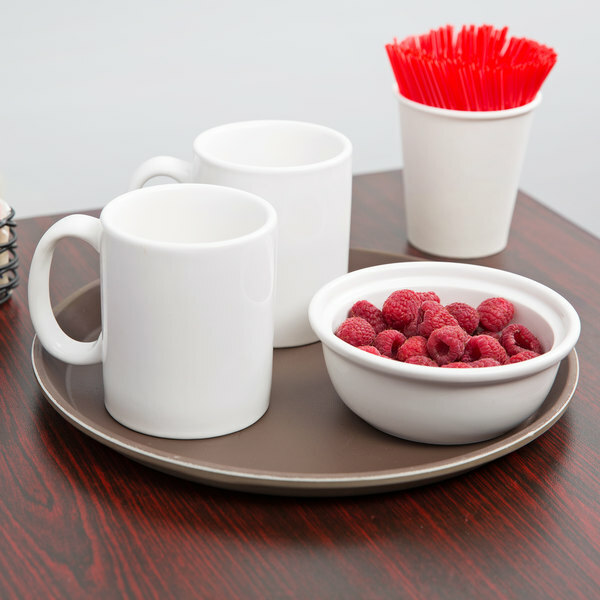 This tray also features a thick non-skid surface that will give your wait staff peace of mind when navigating a busy restaurant with an order full of drinks and food. Lowering the risk of breakage and dangerous spillage, this tray makes a great addition to your restaurant, bar, or hotel. Whether you store this tray in the kitchen or up front by the bar, this tray is the perfect size for storage. Plus, it is easy it is easy to clean after use and features stacking lugs to promote air circulation for fast drying. I love Cambro for its high quality plastic storage containers of all sizes but I found a new reason to love Cambro! These trays are amazing! Highest quality I have ever found! !